Joseph Msika was born on December 6, 1923, in the Chiweshe Reserve, Mazoe District. His father, a Shangaan, was a polygamist whose first wife bore him several daughters. Joseph was the first son born to the second wife, a Zezuru woman who, like her husband, was a staunch member of the Anglican Church. Msika remained a practising Christian up to his death on Tuesday, August 4. Msika once said his father was well off in terms of cattle – as a small boy, he herded more than 100 at a time. It was only the most progressive farmer who, in the 1930s, understood the importance of using the disc plough and cultivator, and his father adopted these innovations. He supplemented his income with a wagon transport business between Mazoe and Salisbury (now Harare). For the price of six eggs, Msika was admitted as a day scholar to the nearby Howard Institute, a Salvation Army mission school. In 1937, he became a boarder and remained there until he passed Standard VI. It was his wish to become a teacher but his father sent him to Mt Selinda (run by the American Board Mission) to train as a carpenter. He made a success of his training and while at Mt Selinda, passed his Junior Certificate by correspondence. Joseph, as the oldest son, was obliged to help with the payment of school fees for the younger members of the family and for this reason he took up part time work with a transport firm in Bulawayo during the holidays. In 1951, his employer persuaded him to take up a full-time job as a cabinet maker. He remained with the firm until 1953 when he was offered a better job with a new clothing firm from Johannesburg. When the firm got into financial difficulties, the owners arranged for Joseph to be transferred to Bulawayo. Here, he worked as a supervisor and then as a “leading hand”. Finally, he became the equivalent of a personnel officer, dealing with problems arising between management and staff. This led to an interest in trade unionism and shortly afterwards, he became president of the Textile and Allied Workers’ Union. The path from trade unionism to politics was a straightforward one and it was not long before he joined the old African National Congress, becoming chairman of the Bulawayo branch. On September 12, 1957, the ANC merged with the African National Youth League (ANYL) in Salisbury to form a new ANC and Joseph Msika was appointed National Treasurer. Msika was heavily involved in the negotiations that gave rise to this new grouping. 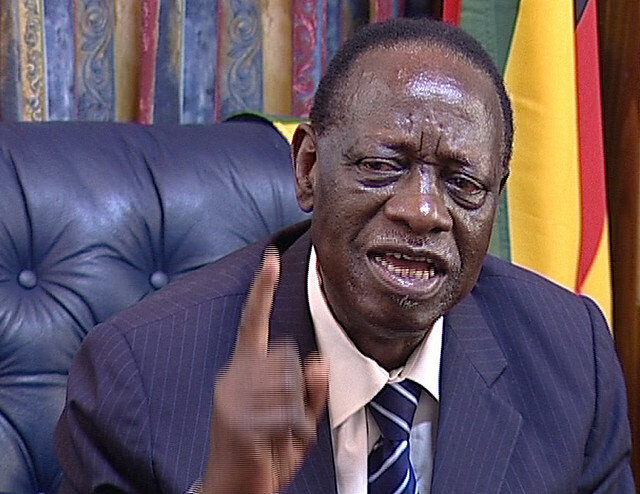 Six men – James Chikerema, the late Paul Mushonga and George Nyandoro from Mashonaland, and three from Matabeleland Jason Ziyaphapha Moyo, Francis Ndawali and Msika himself – agreed not to contest the leadership but to support the man who would come forward and take up the risky task of spearheading a demand for majority rule, hitherto never even considered in the country. Aidan Mwamuka, Stanlake Samkange, Enoch Dumbutshena and Joshua Nkomo were each invited to lead the African National Congress. Mwamuka, Dumbutshena and Samkange declined but Nkomo stated that, if it was the wish of the nation that he should come forward and lead, he would do so. In 1961, Msika was involved in the organisation of a successful strike. This led to his dismissal from employment and he decided to set up his own business – a grocery and fish and chip shop. He was first arrested and detained in February 1959. He was sent to Khami Maximum Security Prison where he met nationalists from Nyasaland (Malawi) and Northern Rhodesia (Zambia). His reaction to a prison sentence was one of shock. His background had not prepared him for this experience but he gave profound thought to his condition and soon adjusted to his new situation. He reflected that the struggle in the early stages of nationalism had been one to obtain justice and equal rights for Africans in a series of individual battles. However, with independence coming rapidly to other African countries, the realisation that the real battle was for the political control of the country through a demand for “one man-one vote” became to grow among nationalist leaders in Rhodesia. “The spirit of nationalism, long dormant since the rebellions of the previous century, was resuscitated – people have an inherent right to decide how they should be governed, and to choose their own government,” Msika said. Determined to face his sentence as “an innocent man: I had not committed any crime; my conscience was clear; I had been imprisoned for my political views” – he retained his self-respect and was able to face the realities of prison with a calm mind. From Khami, he was transferred to Selukwe and then to Marandellas. After his release from Marandellas, he was elected Councillor for the National Democratic Party (NDP). Later, when ZAPU was formed, he became Secretary for Youth Affairs. When the split in the movement came in July 1963, Msika was in Dar-es-Salaam with other members of the ZAPU executive. When the Rev. Ndabaningi Sithole, Moton Malianga, Robert Mugabe and Leopold Takawira proposed a resolution deposing Nkomo from the leadership, Msika walked out of the meeting. In the People’s Caretaker Council (PCC), which was formed shortly afterwards and which he considers to be synonymous with ZAPU, he was elected to the post of Secretary for External Affairs. In 1964, Msika was arrested in Josiah Chinamano’s house and sent to Gonakudzingwa for a period of one year. Together with Chinamano and his wife, Ruth and Joshua Nkomo, he “opened up Gonakudzingwa”. After his release in 1965, he enjoyed only two weeks of freedom in Salisbury before being re-arrested. He returned to Gonakudzingwa and in 1967 was sent with Joshua Nkomo and Lazarus Nkala to the remote Camp, where they spent the next three years with only wild game and each other for company. These stringent conditions were lifted in 1970 and they were then permitted to receive regular visits from their wives and younger children. In May 1974, they were transferred to Buffalo Range where they remained until their release in December. Immediately following his release, Msika accompanied Joshua Nkomo to Lusaka for talks on unity and détente. 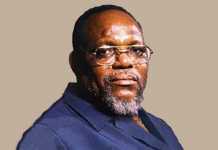 Under the Lusaka Declaration of December 1974, Msika was chosen as one of the four men to represent ZAPU on the Central Committee of the ANC. In August 1975, he attended the Victoria Falls talks as a member of the ANC negotiating team. When the split occurred shortly afterwards, his loyalty to Nkomo was never in doubt. He was convinced that the decision to call a special congress on 27 and 28 September was strictly in accordance with the constitution of the organisation. At the Congress, he was elected Secretary General under the presidency of Nkomo. It was announced on 10 December that he had been appointed a member of the ANC delegation to the constitutional conference convened for 15 December. Following the breakdown of the Smith-Nkomo talks in March 1976, the ANC decided to publish its own story of what occurred. In early July, Msika went to London to release the publication and to answer questions at a press conference. He told reporters that the ANC “might consider whether there was anything to be gained by once more sitting down with Ian Smith”. “But,” he was reported as saying, “it would not be negotiation – the time for that is long past. It would be to discuss only the mechanics of an immediate transfer of power to the majority”. Msika was, however, at pains to point out that the ANC was not “fighting the white man”. “We are,” he said, “fighting a racist system”. It was announced on 13 October that Joseph Msika would be a member of the ANC (Nkomo) delegation to the Geneva Conference. Msika expressed the greatest admiration for the way in which his wife, Maria, whom he married in 1946, raised their family of six children and looked after his business during his time in detention. Msika attended the Lancaster House talks in 1979 which led to Zimbabwe’s Independence in 1980. After independence, he served in various ministerial portfolios – starting with the Natural Resources portfolio he got in a shaky coalition government soon after the first elections. A new crackdown on ZAPU supporters by government troops forced Nkomo to quit Mugabe’s government in 1983 and he fled to England. After thousands were killed in the crackdown, Mugabe and Nkomo signed the unity pact in 1987, Nkomo immediately becoming Vice President. 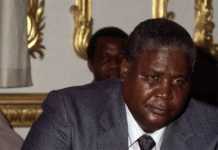 When Nkomo died in 1999, Msika replaced him as vice-president. 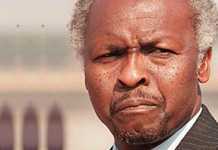 After suffering a stroke in 2005, he tried to retire, but Mugabe insisted on keeping him in office. The ageing and sick Msika then lapsed into almost total inactivity. Joseph Msika is survived by his wife, Maria, and six children.